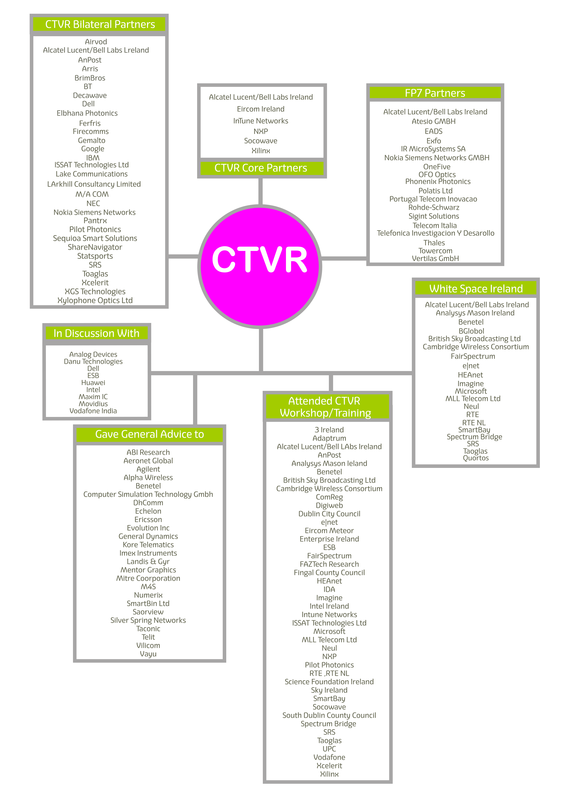 CTVR is at the centre of an active network of industry interactions. Modes of engagement range from close engagement with the research through Irish and internationally funded consortia, bi-lateral targeted projects specified by just one company, consultation and demonstration, training and industry briefings. Through all channels, our industry collaborators offer critical insights into industry-relevant challenges that make significant contributions to the development of the research programme. CTVR research challenges scientific, technical and commercial frontiers. The outputs from this research deliver critical commercial impact for our industry partners.